Thank you to Tea or Coffee for hosting our last meeting. As usual we were made very welcome by Zeynep, who continues to support the Mexborough Business Forum. The next Mexborough Business Forum meeting is arranged for Thursday, 7th June at 4pm at Stelrad Head quarters, which will be our first one held at the business. We are very pleased to announce local business sponsorship for Mexborough community events….£500 via Constant Security for Mexborough Music Festival and over £500 via Stelrad for banners and other supporting materials for the Mexborough Music Festival and Mexborough Super Hero Day. Fantastic news regarding a £500 award from Doncaster Metropolitan Borough Council for Mexborough’s events budget in addition a reimbursement for the damaged Super Hero cut-outs from last year’s event, all good news for the town’s promotional materials. 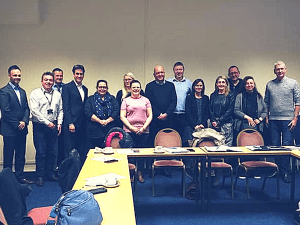 The Raising Aspirations sub group met at Stelrad on Tue the 24th April. It was a great meeting with Lee Douglas and Zoe Catterall from Doncaster Chamber Enterprise Opportunity programme. Lisa Chambers (Stelrad), Adam Lee (Constant Security) and Dan Whitehouse (Sine FM) have recently become local ‘Enterprise Advisors’. Richard Wood, Head at Mexborough Academy also attended, as well as John Barber and Janice Richardson from Work-Wise. 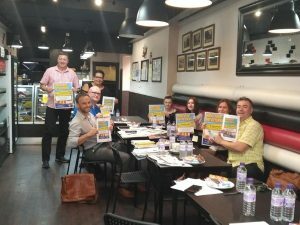 Doncaster is one of only 12 ‘Enterprise Opportunity’ areas across the UK and Mexborough is a key priority area for local businesses to link in with local young people/students to maximise their career opportunities, in conjunction with the advisors and coordinators involved in this project. Watch this space for further developments……..